I am on my way through a second play-through of Fallout 4. While the settlement-building mechanics and the amazing Survival Mode (after the recent update) are stars in Bethesda’s crown, I feel like they’ve missed the mark on creating a role-playing experience. It’s a problem, actually, that’s been going on for a while across multiple games (and multiple publishers). It seems like every new iteration of Elder Scrolls removes a little bit of the role from role-playing game, and Bioware RPGs give you so little control over character design that they may as well not bother. I understand that they’re simplifying and streamlining for the benefit of people with shorter and shorter attention spans, and in response to focus group testing, but it’s gotten to the point where Fallout plays more like a shooter than an RPG. First, there’s the matter of greatly reduced options during character creation and level-up. Your options during character creation are limited to the character’s physical appearance and their SPECIAL scores (attributes). There are no skills or starter perks to customize your initial experience. You will have to wait several levels before you can start to significantly differentiate your character from every other Fallout 4 character. Perks stand in for the skills of previous Fallout games, and you get to choose just one per level. While the level-ups do come at you pretty quickly, it still feels like a rip-off to have to choose Local Leader when you really would rather improve your gun skills. Sorry; can’t do both! And speaking of level-ups, they do come fast. Way too fast. Instead of a new experience level feeling like a major achievement—the exciting new milestone that every roleplayer loves—it’s been cheapened to a small endorphin hit. I used to spend several minutes noodling over my options at each new experience level, and getting a new perk or feat was truly exciting. Now I might go through twenty minutes of game-play before remembering that I leveled up, and choosing the new perk is something I do in seconds. I know I’m only an hour or two away from another one, so why agonize over it? Those things are annoyances, but the real problem I have with Fallout 4 is the complete lack of control the player has over how they approach the game. 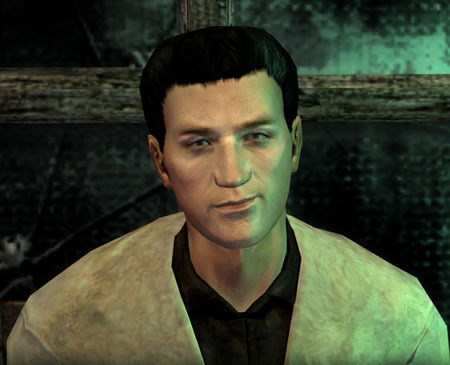 As a benchmark for good computer roleplaying games, I consider New Vegas to be at the very tippy top of the genre. The complexity of the factions, the multiple solutions to most quests, the level of characterization in the NPCs—it’s a masterpiece. I genuinely cared about The King‘s opinion of me, and my first encounter with the Legion had my character shaking with rage while being completely helpless to do anything about it. Not because the game prevented me from attacking, but because I knew the consequences would be dire if I tried. I don’t know if you can get through the whole game MacGyver-style (non-lethal attacks only), but I thought it was pretty amazing that you can talk your way out of even the very last boss fight. That’s what a roleplaying game should aspire to: maximize flexibility to give the player the ability to finish missions in the manner of their own choosing. Morrowind was another good example; I remember having multiple options to finish many of the quests. I even managed to get through most of it with my witch-hunter character that refuses to use magic (getting into Telvanni towers is really difficult without levitating, but it is possible). Unfortunately, there’s no way to finish the game without use of a magic sword, so he had to let someone else be the Nerevarine. In contrast to the rich experience of New Vegas, Fallout 4 gives you exactly one solution to 90% of problems: shoot it. There are a couple of quests that can be resolved with some good persuasion rolls, but most of the time even the light and fun side quests, like helping to build the confidence of a timid minor character, end in a gunfight. The worst example is a quest to rescue a kidnapped settler. I was given the option of paying a ransom, but when I tried to pay it the quest failed! You don’t come back later to find out that the settlement’s been attacked again; you don’t hear that the raiders took the money and killed the hostage anyway; you don’t come back to find out that someone’s absconded with the ransom money; the timer expires and the quest fails. Maybe I just ran into a bug, but I can’t escape the thought that maybe the game designers didn’t even fill out that branch in the code because they thought no one would ever choose it. The conclusion of the main quest, where you would expect the player’s actions to have the most weight, has only two possible conclusions. Even though there are four factions to choose from, three of them lead to the same place, and getting the “good” ending (the one that doesn’t end with a new radioactive crater) requires siding with the “evil” faction! Even getting to that will require wiping out two of the other factions. I spent the majority of the game thinking the Minutemen were good, honorable people who would put the best interest of the Commonwealth first. Imagine my surprise when their solution to the Commonwealth’s problem looked exactly like the Brotherhood of Steel’s! I kind of expect that kind of hypocrisy from the Brotherhood—”We’re going to make sure the scientists can never destroy the world again, and we’re going to use this atomic bomb to do it”—but the Minutemen seem to have somehow forgotten that they need to live in Boston, and a big, new, radioactive crater isn’t really conducive to the kind of life they want to build. I get it—War never changes, but that doesn’t mean that we shouldn’t even try to look for another path. It definitely doesn’t mean that we shouldn’t be given the option to try. Even if the game is rigged so that circumstances always bring about the same conclusion, the player should be given choices about how they want their character to respond to the situation. I haven’t tried any of the DLC for Fallout 4 yet. My understanding is that “Far Harbor” presents the player with some more interesting choices, some of which are non-violent. I’ll definitely give it a try. After all, the best moment in Fallout 3 came from the DLC “The Pitt,” in which you have to make a very tough decision—none of the options are good. No matter what you choose things are going to end in grief, but it felt like I was making a choice, and I was going to have to live with the consequences. Hopefully “Far Harbor” has some similar meat to it. Computer roleplaying games have the opportunity to really make a player think about choices and consequences. Yes, they can be played in hack’n’slash mode, and a huge number of players will prefer exactly that experience, but that shouldn’t preclude the option to play them in a more thoughtful manner. 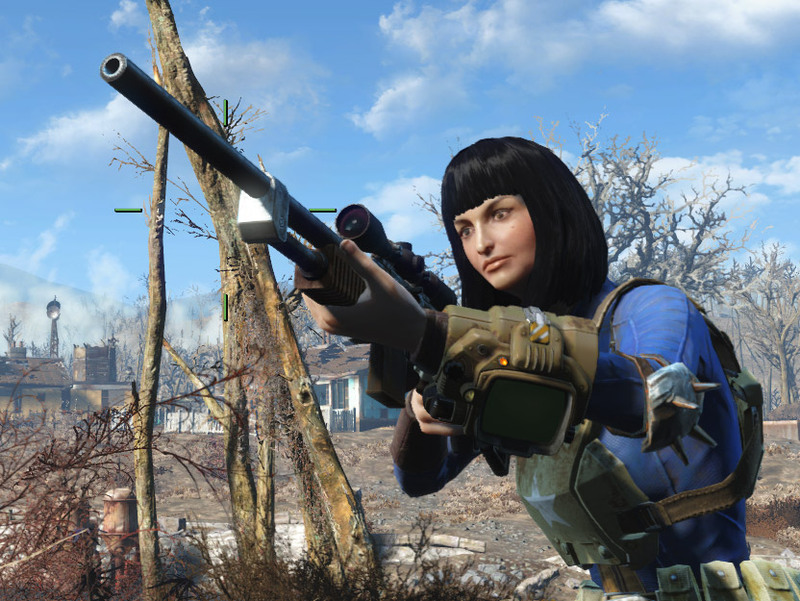 While I’m enjoying Fallout 4, it isn’t really doing much for me in the roleplaying sense. A new Elder Scrolls is on the (distant) horizon; I hope that Bethesda presents us with a richer, more meaningful experience than they did in Fallout 4.